Comments: This herbaceous perennial has large, rough, prickly leaves and is often seen growing in herb gardens. The coarse textured foliage is the primary feature although plants also flower. 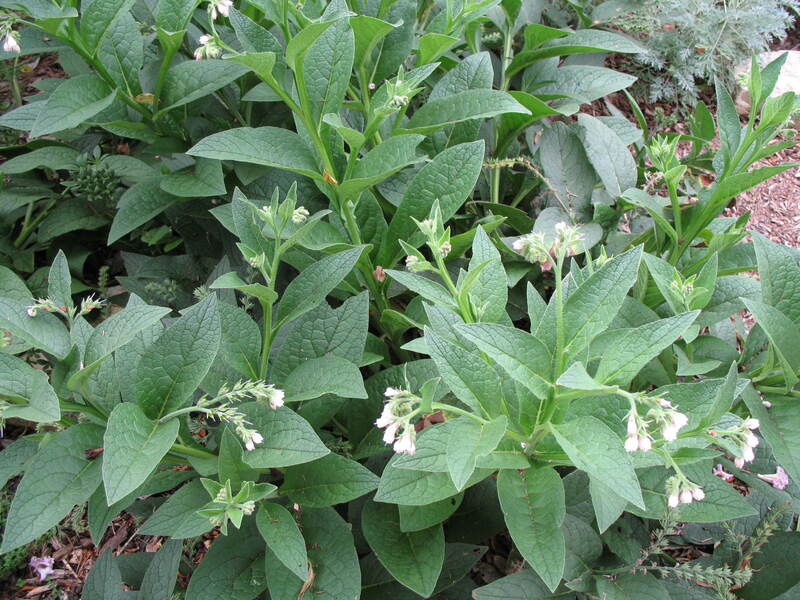 This plant has been used for many years for its medicinal qualities. Plant in a fertile, well drained soil and provide some sunlight during the day, preferably morning sun, although this plant is tolerant of a wide range of growing conditions.